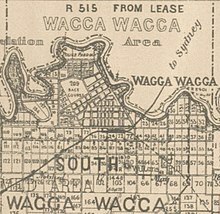 With its increasing prosperity and population, Wagga Wagga and the surrounding district became a place of interest to several infamous bushrangers. The Wagga police magistrate was bailed up by Mad Dog Morgan in 1863. Captain Moonlite and his band arrived in the district on 15 November 1879 and held up 39 people at Wantabadgery Station. Moonlite and his gang escaped a police pursuit only to be captured at another nearby property when police from the neighbouring townships of Gundagai and Adelong arrived. 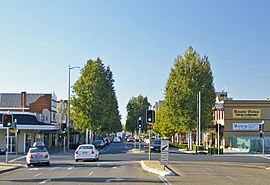 Wagga Wagga is the largest city in the Australian House of Representatives electorate of Riverina, currently represented by Michael McCormack of the National Party. At the state level, the city is represented in the New South Wales Legislative Assembly by , Independent member for the Electoral district of Wagga Wagga. 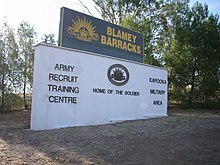 The local rugby league teams play in the Group 9 Rugby League competition and include , South City and . 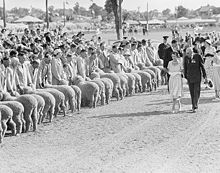 The Group 9 grand final is a major sport event in Wagga Wagga. Rugby union teams include CSU Reddies, Wagga Agricultural College, Wagga City and Wagga Waratahs in the . Australian rules football clubs in Wagga include Collingullie-Glenfield Park, Mangoplah-Cookardinia United-Eastlakes, Turvey Park and Wagga Tigers in the Riverina Football League and East Wagga-Kooringal, North Wagga and Rivcoll(CSU) in the Farrer Football League. Wagga soccer teams include Henwood Park, Wagga United, Tolland and Lake Albert, with the first grade competition for men being the Pascoe Cup and for women the Leonard Cup. The , said to be Australia's second oldest thoroughbred horse race, is held in the first week of May.